Action 3D is a 2013 Indian Telugu suspense thriller, action film released on Jul 07, 2013. 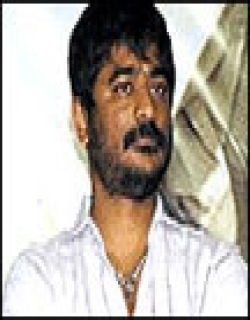 The film is directed by Anil Sunkara, produced by Rama Brahmam Sunkara. Action 3D is an comedy entertainer movie, which is India's first 3D Comedy film with high Technical Standards, in which, Allari Naresh, Kick Shaam, Vaibhav Reddy, Raju Sundaram, Kamna Jethmalani, Sneha Ullal, Ritu Barmecha and Neelam Upadhyaya are playing the main lead roles. Eega fame Kicha Sudeep and comedian Sunil making guest appearance in this movie. The story starts off with Bava, Ajay, Shiva, Purush who are the best of friends. Bava(Allari Naresh) is an easy going chap while Ajay(Kick Shyam) and Shiva(Vaibhav) are the serious types, Purush(Raju Sundaram) completes the gang being the comedian. Ajay is going to get married in a few days and the guys decide to have their last few days as bachelors in Goa. They set out to have a road trip to Goa.Anil Sunkara who is the one of the co-producer of Dookudu movie is debuting as director through this movie. Bappi Lahari and his son Bappa Lahari scored music for this film. Action 3D is an comedy entertainer movie, which is India's first 3D Comedy film with high Technical Standards, in which, Allari Naresh, Kick Shaam, Vaibhav Reddy, Raju Sundaram, Kamna Jethmalani, Sneha Ullal, Ritu Barmecha and Neelam Upadhyaya are playing the main lead roles. Eega fame Kicha Sudeep and comedian Sunil making guest appearance in this movie. The story starts off with Bava, Ajay, Shiva, Purush who are the best of friends. 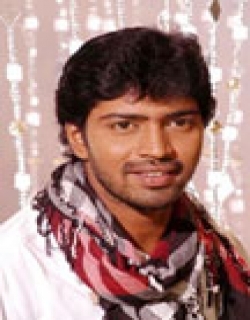 Bava(Allari Naresh) is an easy going chap while Ajay(Kick Shyam) and Shiva(Vaibhav) are the serious types, Purush(Raju Sundaram) completes the gang being the comedian. Ajay is going to get married in a few days and the guys decide to have their last few days as bachelors in Goa. They set out to have a road trip to Goa.Anil Sunkara who is the one of the co-producer of Dookudu movie is debuting as director through this movie. Bappi Lahari and his son Bappa Lahari scored music for this film. Check out this page for more updates on Action 3D. Four buddies – Bawa (Naresh), Ajay (Shaam), Purushottam (Raju) and Shiva (Vaibhav) – go to Goa for Ajay’s bachelor party. The night after the party Ajay goes missing even as.. This page provides latest and updated information about Action 3D (2013) movie which released on Jul 07, 2013. Action 3D (2013) is directed by , produced by , starring .We have also provided 0 trailers and videos, 0 photos, 0 user reviews, and 0 critic reviews.You can review, like, dislike this movie and also can add to favorites. You can also find information on showtimes, CDs, DVDs, online rental, online free watching.